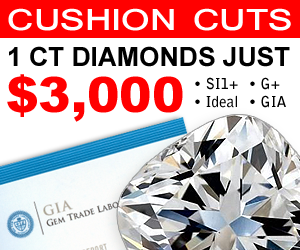 Cushion cuts are becoming quite popular nowadays. You see, one of the most famous diamonds in the world is cushion cut; the blue Hope diamond. So cushion cuts have been around forever. It’s a beautiful cut that resembles a pillow; square or rectangle in shape, with curved, or rounded corners. 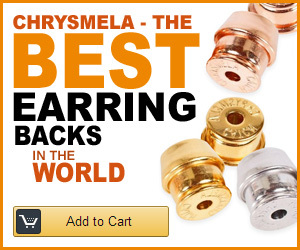 What’s making them even more popular now, is the price. 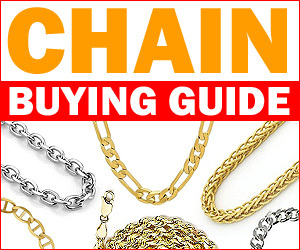 For the same carat weight and quality, you can save tons of money. 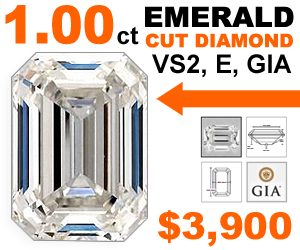 They’re so much more cheaper than the standard brilliant cut diamond (which is the most popular cut sold). Didn’t expect that price difference? 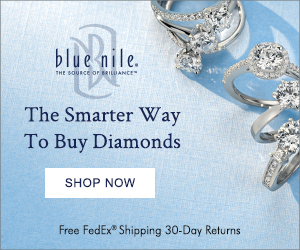 Combine that with some stunning mountings, like the pave mounting or halo mounting, and you have yourself one incredible engagement ring. 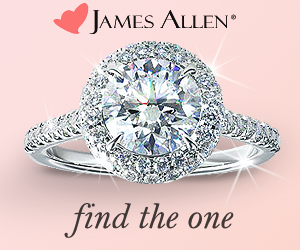 Because not all cushion cut diamonds look good. Just like any other cut of diamond, the 4c’s plays a huge part in appearance. So to keep you from buying a bad cushion cut diamond, that lacks light, life and sparkle, I’ve put together a list of 5 important tips that will help you select the most brilliant cushion possible. 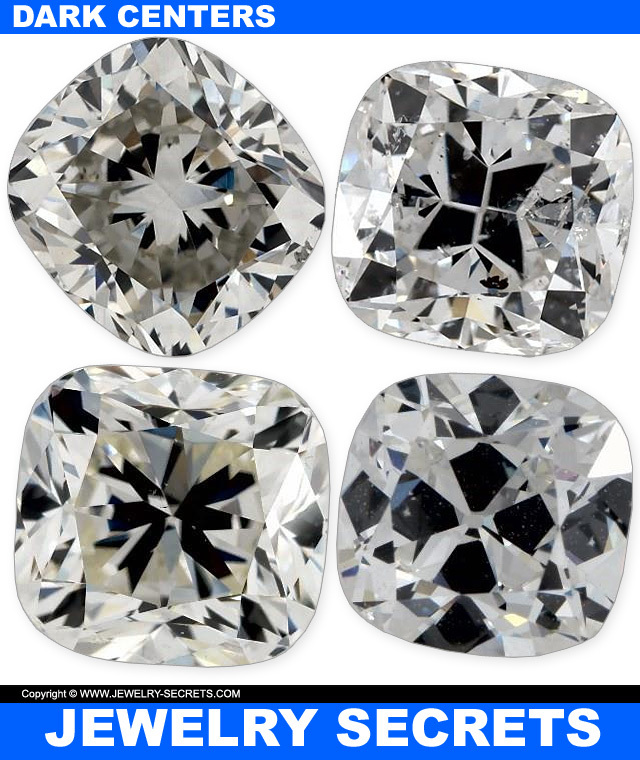 Just like any diamond, the better looking stones lack eye-visible inclusions. Meaning, you can’t see the flaws with the bare eye. You won’t see large black spots, clouds, lines, cracks… It’s all invisible to the eye, unless you use a high powered 10x jeweler’s loupe. And to do that, you’ll need a clarity of at least SI1. SI1 is the best, most affordable clarity there is where you can’t see flaws in the stone. They’re all microscopic. 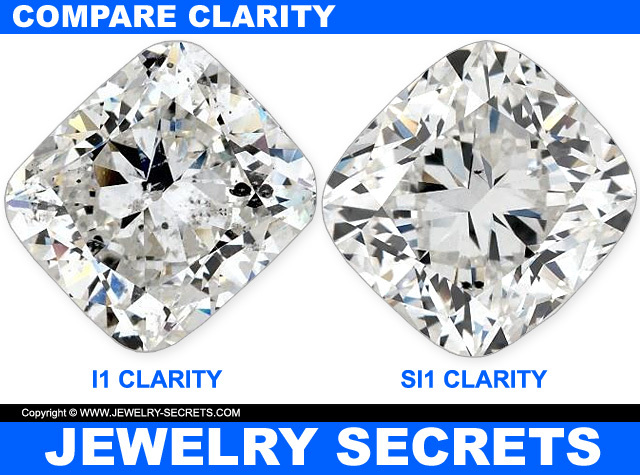 Not only is SI1 a great clarity to buy, but it’s much more affordable than a higher clarity stone. And, if you put an SI1 diamond up against a higher clarity; VS, VVS, Flawless, they will all look the same (unless you microscoped them). That’s why SI1 is the best selling diamond clarity in the world. SI1 looks like Flawless. Whiter diamonds tend to face up bigger and brighter than yellow diamonds. They lighten up the entire body and make it stand out and “pop” in the mounting (especially pure white diamonds like these). 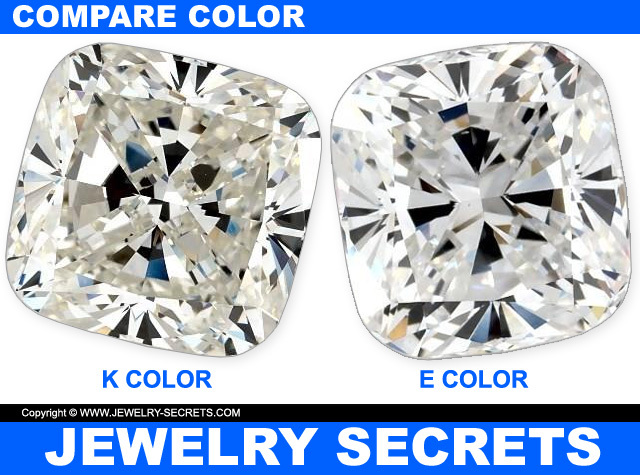 White diamonds are those from H color or higher. G-H is a “fine white” diamond color, and D-E-F is “pure white“. Any diamond H or higher has no trace of yellow in the stone. Cushions cuts have many styles of faceting, too. Take a peek at some of the cutting styles below. You’ll see that the top view is the same, but the way they cut the pavilion, the base of the diamond, varies. So they are all cut different and unique, making one cut grade impossible. There is no exact science. 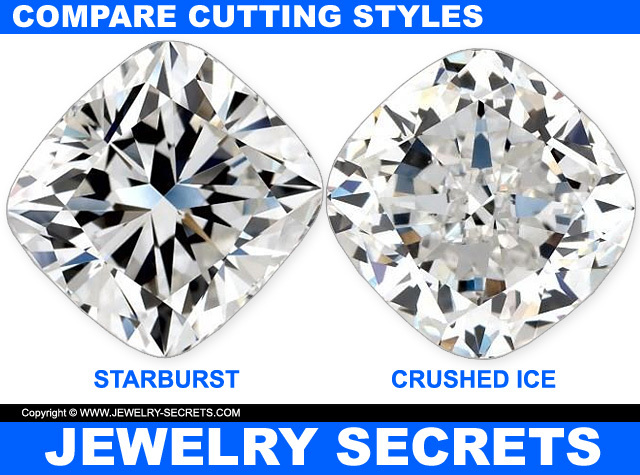 Some cushion cuts have a starburst pattern, and others look more like crushed ice. When it comes to appearance, it really comes down to preference. Every diamond is different, and it needs to look pleasing to you. I prefer the starburst (antique styling) better, but you have to watch out for depth (which is listed on the diamond report). Often these can get too deep or lumpy. Generally if you obtain a cushion cut that’s 58%-70% in total depth, you’ll be fine (check the diamond profile for these numbers). Any deeper than that and your diamond may look dark or shadowed in the center. 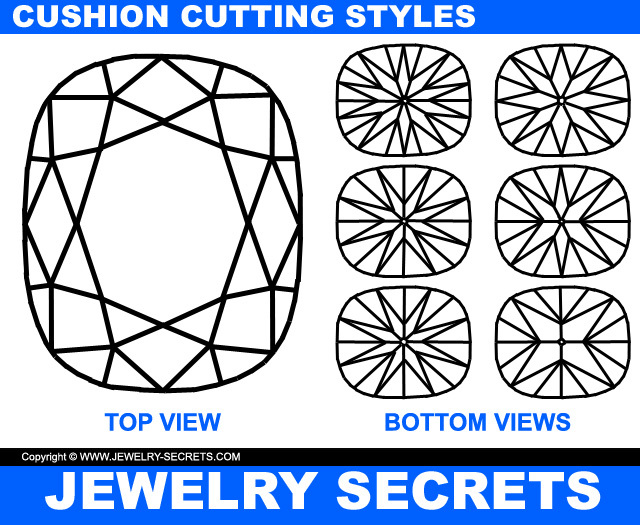 Other indicators to how good a cushion cut is polish and symmetry. Polish is listed on the diamond report, and is graded in 5 categories (excellent, very good, good, fair and poor). I would advise purchasing “excellent“, that way your facets will all be perfectly smooth and clean, and not have grain lines, cut marks, grooves or waves. Symmetry is highly important too. It’s graded the same way as polish. I would suggest “excellent” in that field as well. 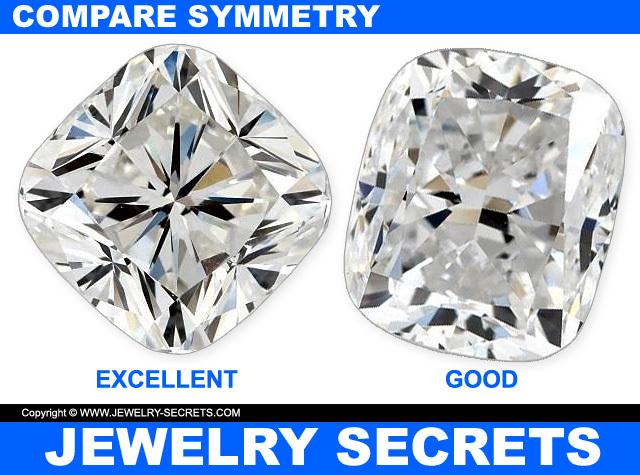 Symmetry is how perfectly even your facets are shaped, situated, and line up. 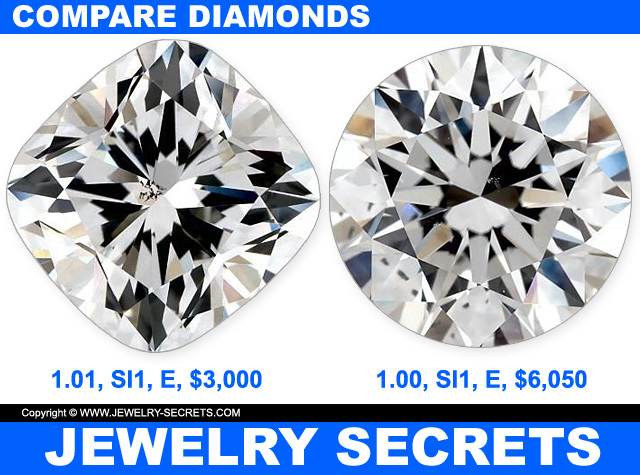 Compare the two diamonds below. One is “excellent” cut, the other “good”. Lastly, when it comes to cut, there is only one place that I know of, that actually defines a cut grade for cushions. 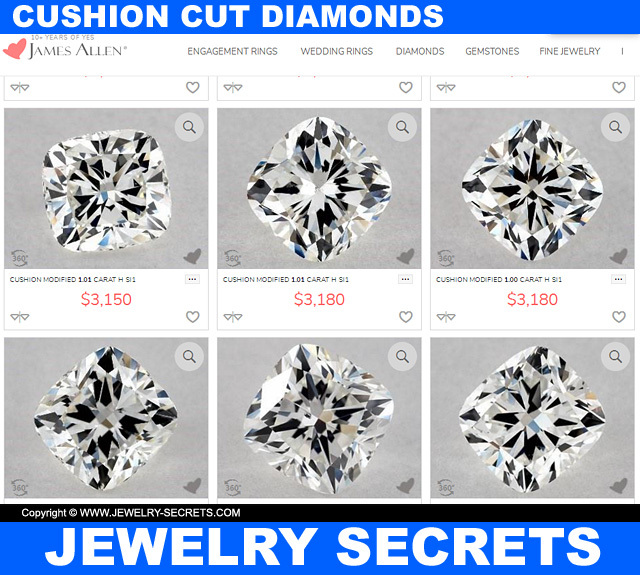 James Allen actually categorizes cut grades for cushion cuts and princess cuts. They also give these diamonds one of the best cut grades possible; True Hearts. 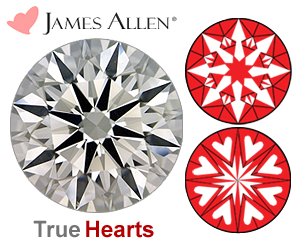 True Hearts are those lovely hearts and arrows patterns that’s obtained in the world’s best cut diamonds. And now, you can get that cream-of-the-crop faceting in cushions. If you truly want the most sparkle, the most pizzazz of any cushion on the market, go with True Hearts. They will outshine any other diamond by a mile. Fluorescence is a topic few talk about, but it can have a huge impact on the way a diamond appears. 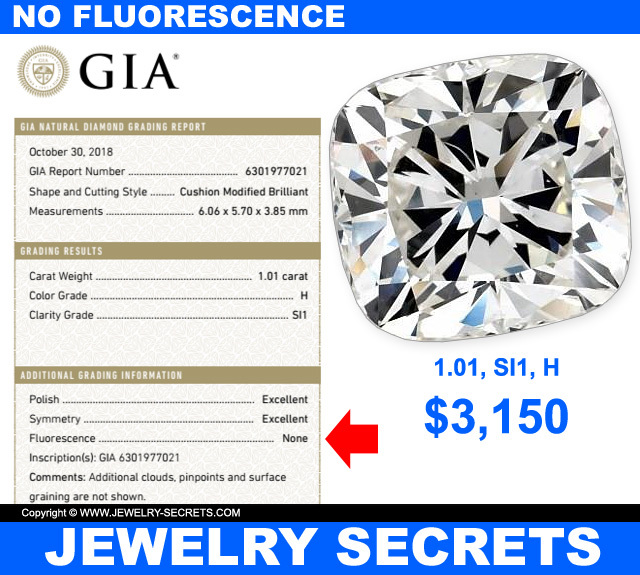 Fluorescence is a natural phenomenon that can make a diamond look foggy or hazy in natural sunlight, regardless of the color or clarity (especially if it’s graded “strong fluorescence“). So I would recommend buying a cushion cut that’s void of any fluorescence. Just to be safe. 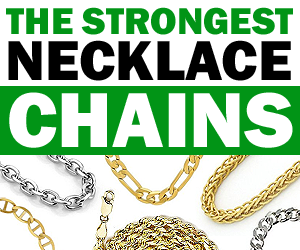 I’ve already talked about a dark center, a crushed ice pattern, and a diamond that’s too lumpy… These things are really important when it comes to looks. But it’s things that no diamond report can show you. It’s something you have to see for yourself, with your own two eyes. You need to see the real diamond (not a sample stock photo), close up, and see how it interacts with light. Magnify it. Look at the facets and turn the stone around… For the entire purpose to a diamond is the life, the sparkle, and the brilliance it brings. That’s why we love them. And if a diamond lacks these wonderful attributes, then it won’t make a very pretty engagement ring. 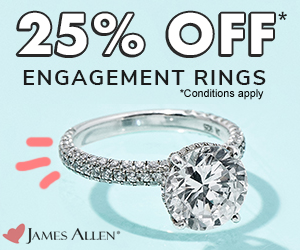 That’s why I recommend shopping at James Allen. They show you the real diamonds, close up (magnified 40x), and allows you to spin the stone around 360°. That way you can view the stone from all angles, sides, inside and out. 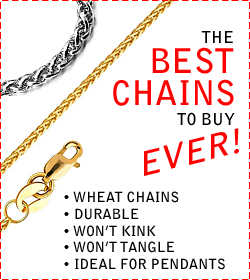 It’s the only way to shop. Set your cushion cut in a mounting (like a solitaire mounting, pave mounting, or a halo mounting), and you’ll be good to go propose. 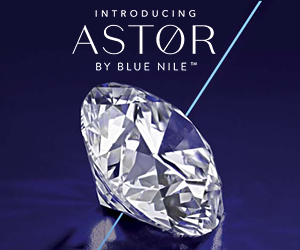 Plus, the prices on their diamonds is outstanding. 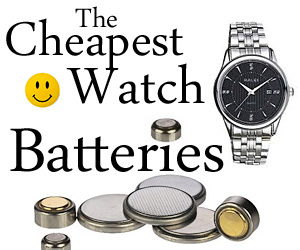 Some of the lowest prices in the country. 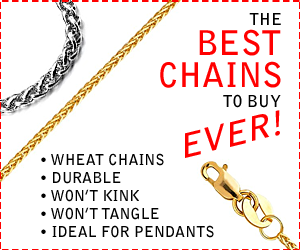 Just compare them will any mall jewelry stores and you’ll see a striking difference. 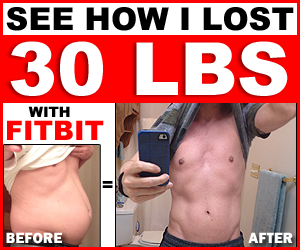 So check out these cushion cuts here.